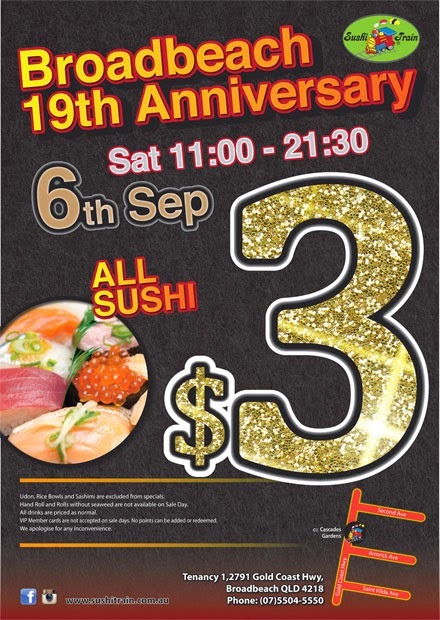 Sushi Train Broadbeach Station 19th Anniversary $3 Sale!! 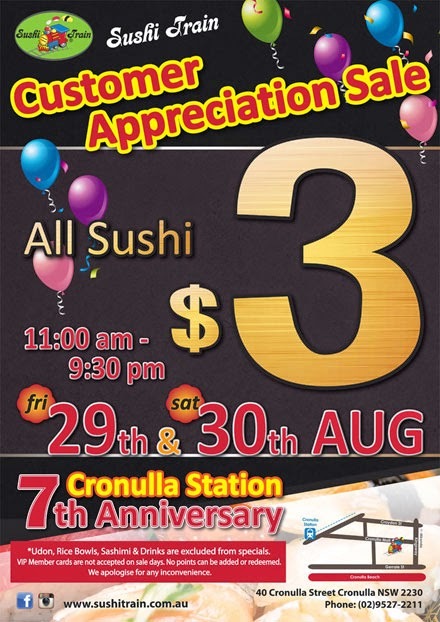 Udon, Rice Bowls, Sashimi are excluded from specials. Hand Roll and Rolls without seaweed are not available on Sale Day. All drinks are priced as normal. 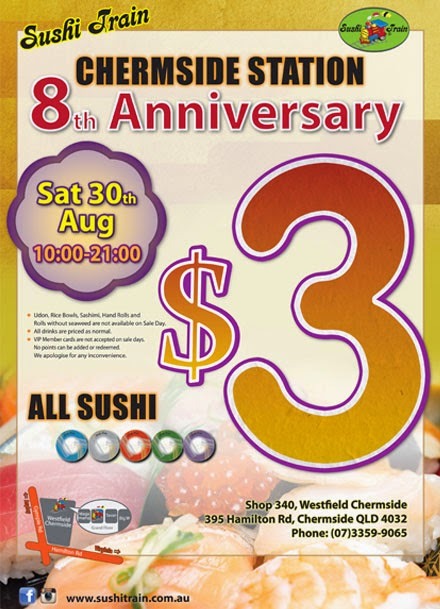 Udon, Rice Bowls, Sashimi, Hand Rolls and Rolls without seaweed are not available on sale day. 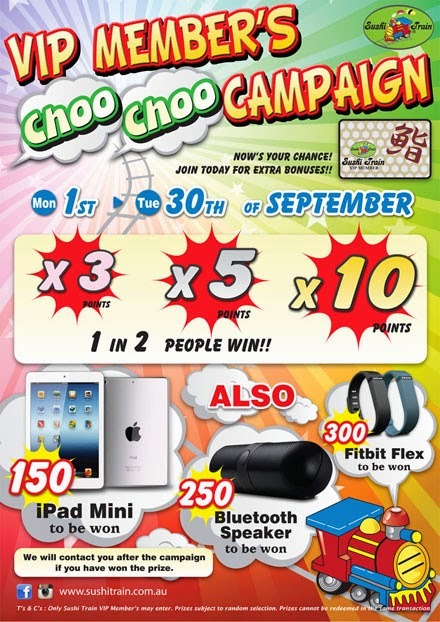 Fitbit Flex to be won after the campaign. Prizes subject to random selection.